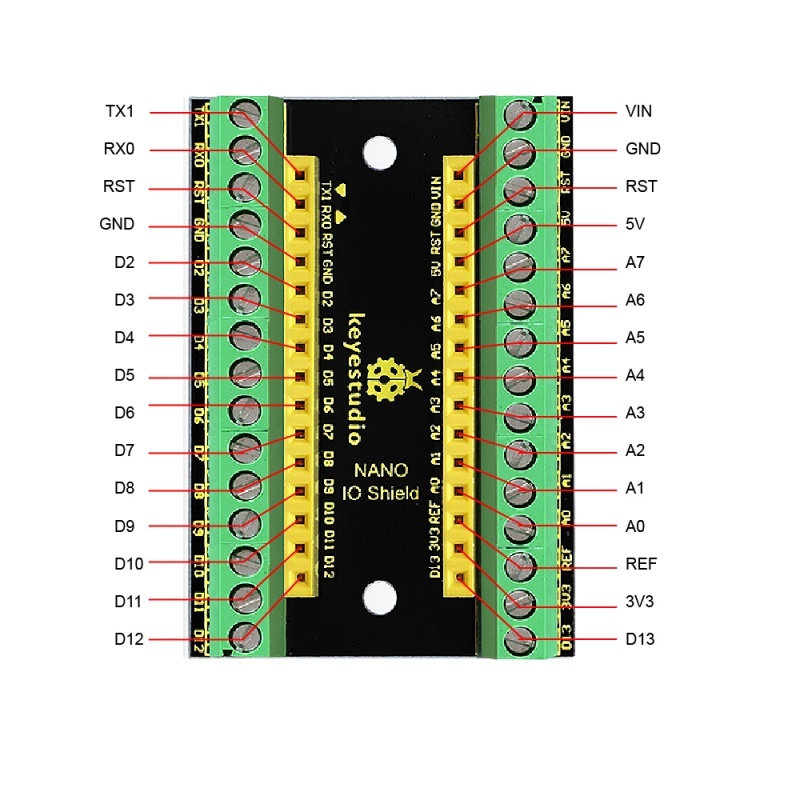 This is a simple and small NANO IO shield. 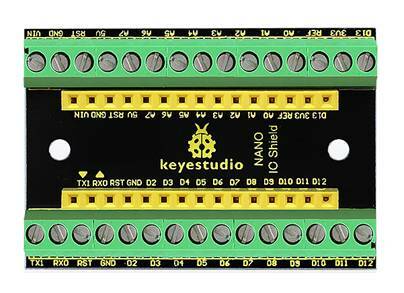 It breaks out all the pins of keyestudio Nano ch340, easy to hook it up to make experiments. 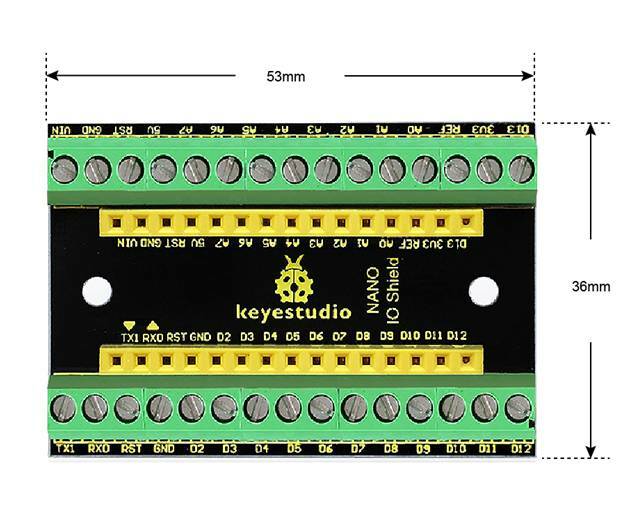 Onboard comes with two 3mm fixed holes, convenient to fix the shield on other objects. 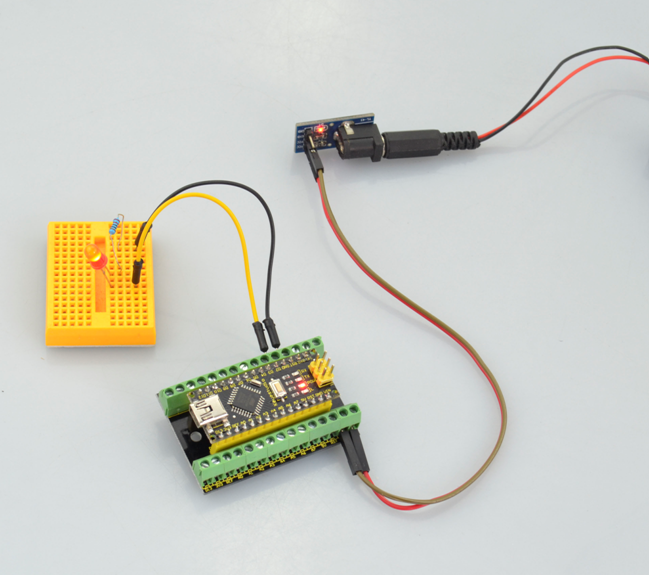 Stack the NANO CH340 onto the shield, and upload well the code, you could power the Nano ch340 via VIN GND interface to light up an external LED. This page was last edited on 15 February 2019, at 09:21.